Don’t Throw Out Your Poinsettia! The holidays have arrived, and all I see everywhere are poinsettia plants. In fact, I’ve already been gifted one! It’s a lovely plant that brightens up a room with a bit of cheer. I find it odd, though, that we only see these pretty plants around December. You blink, and they’re gone. Every year, I seem to impress family and friends by the sheer fact that I keep my poinsettia plant alive longer than anyone else. No one I know keeps theirs past January 1st. I imagine garbage bins across town are filled with them. A graveyard of poinsettias. So, what’s the trick? There isn’t much of one. Just treat it like any other houseplant. Don’t neglect it! I think that’s the trouble. People perceive these plants as disposable and temporary, but they don’t have to be. They’re attractive plants and surprisingly cheap in-season. Wait a little and when all the holiday fuss has died down, and you might be able to snag one at a deep discount. Still skeptical about whether you’ll be able to keep your poinsettia alive? Here are some pointers for nurturing your plant. Poinsettias love lots of sun. Many folks probably don’t put them in an ideal location because they’re not thinking about long-term survival. Make sure to choose a sunny spot for your plant. Water frequently, but allow the soil to dry between waterings. This is actually something I do unintentionally, and it works wonders. Make sure there’s somewhere for water to drain, though. Keep it away from cold windows and drafts. Cool temperatures are bad for this plant. Don’t stick it right by a window and avoid placing it at your home’s entrance. Provide it with a humid environment. 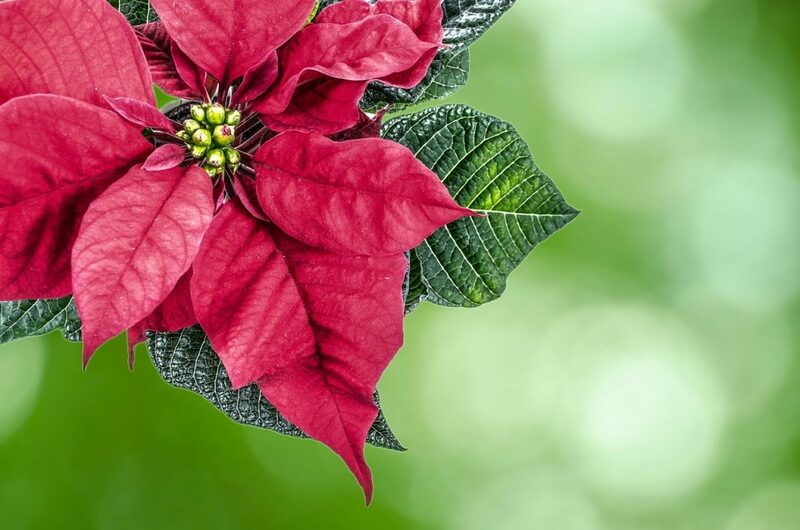 The poinsettia is a tropical plant, so it prefers humidity over dry conditions. The easiest way to provide humidity is to bring it into the bathroom while showering. If your bathroom gets sun, you can even make it a permanent home for your plant. Re-pot it. Unless you purchase a poinsettia with a large planter, you’ll need to re-pot it to keep it alive since many store-bought plants are crowded into small containers. Not even sure why you’d want to keep one alive past the new year? Maybe red doesn’t fit into your regular decor. Poinsettias are available in other color variations including pink and white. I’m particularly fond of the white variety. The plant will fit in seamlessly with the rest of your houseplants. With a little bit of patience and allowing for periods of total darkness, you may even successfully re-bloom your poinsettia just in time for December 2019. « What’s a Frugal Gardener to do in the Snow ? Nice – plants product Oxygen, which is a great way to improve your environment.